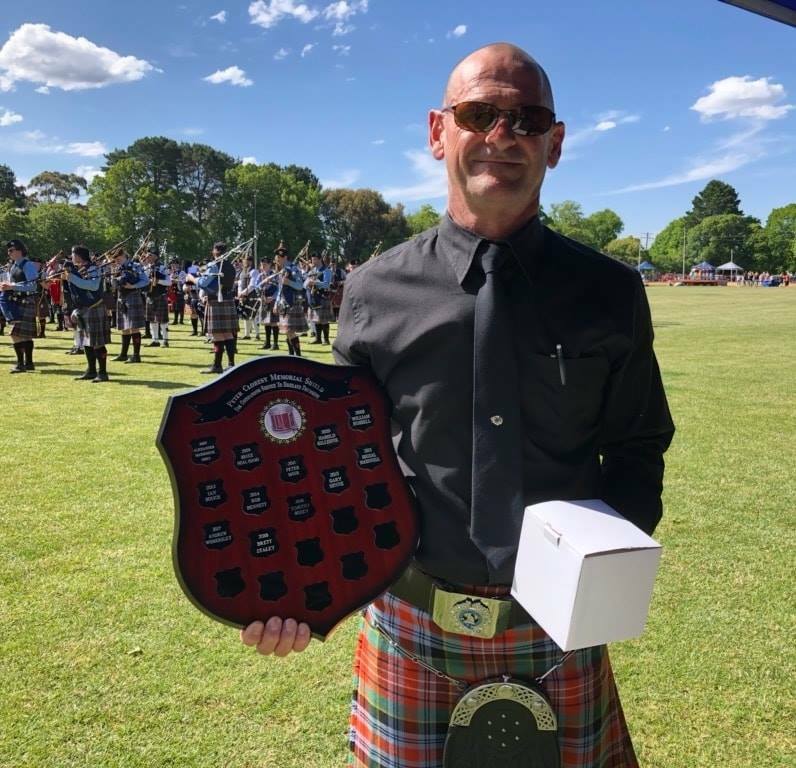 At Daylesford Highland Gathering on 1 December, Brett Staley was announced as the 2018 recipient of the Peter Clohesy Memorial Shield for services to highland drumming. Brett has played drums throughout much of his life, including City of Melbourne, Geelong RSL, and Victoria Police and is a long serving music adjudicator. Brett also has a long track record of teaching and fostering drumming throughout his career.